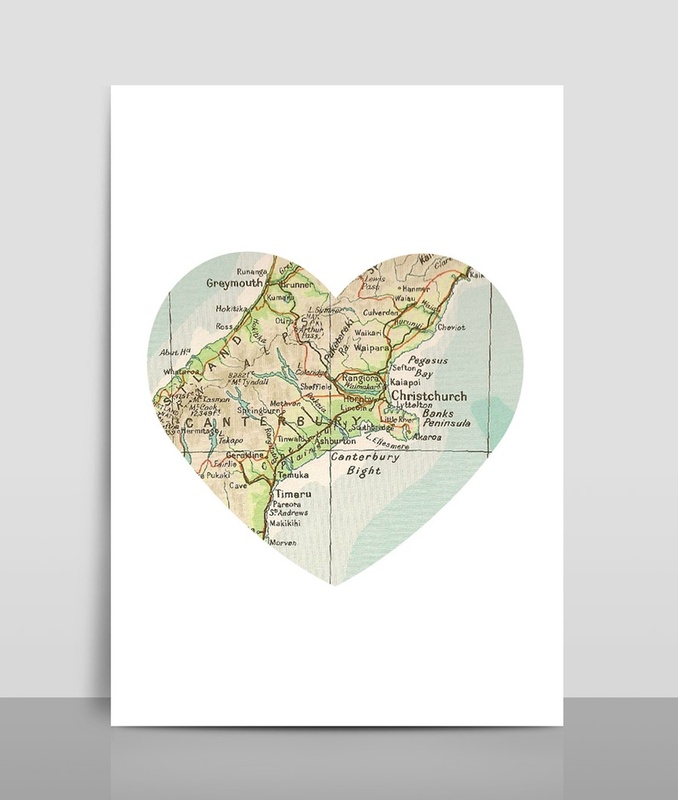 Map heart print of Canterbury region, from to Cheviot to Timaru. Print is A4 size on 300gsm quality matt card. Please note that the colours you see on screen may appear slightly different on your final print. Print is shipped promptly and in a sturdy mailer. Contact inkbomb to enquire about payment or shipping options.